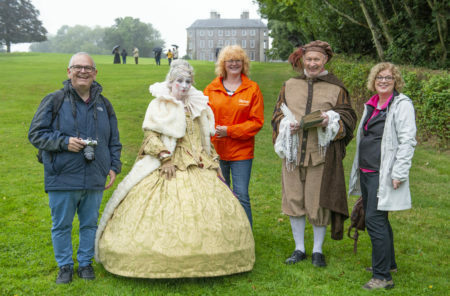 David Bigorra Spain,Elizabeth I , Marianne Vanderauwera Belgium and Antonette Reilly Fáilte Ireland pictured at the Doneraile Wildlife Park in Cork.Tourism agencies Fáilte Ireland, together with Tourism Ireland, are this week showcasing a select number of top attractions in counties Tipperary, Waterford and Cork to a group of overseas media who are in Ireland on a ‘Discover Munster’ press trip to see what the area has to offer overseas visitors. 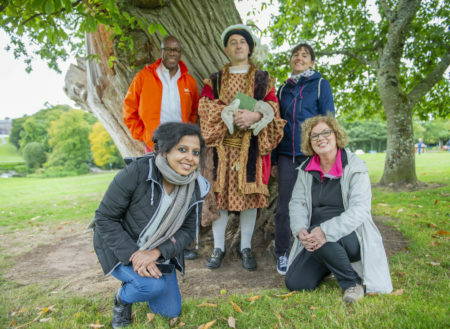 Henry VIII with Susmita Saha India, Jon Haggins USA, Marie Borgers France and Antonette Reilly Fáilte Ireland pictured at the Doneraile Wildlife Park in Cork.Tourism agencies Fáilte Ireland, together with Tourism Ireland, are this week showcasing a select number of top attractions in counties Tipperary, Waterford and Cork to a group of overseas media who are in Ireland on a ‘Discover Munster’ press trip to see what the area has to offer overseas visitors. 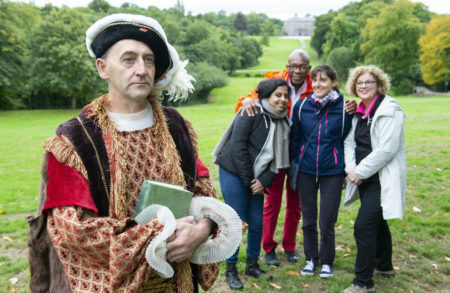 Fáilte Ireland put together a bespoke itinerary for the media, which included experiencing some of Munster’s iconic tourism attractions – the Holycross Abbey, Ormond Castle, FHC Experience, McCarthy’s Bar Fethard and Coolmore Stud in Tipperary. While in Waterford they group cycled the Waterford Greenway followed by a visit to Lismore Castle Gardens, before finishing their journey in Cork with a visit to Doneraile Wildlife Park and Longueville House, a member of Ireland’s Blue Book.